Stainless steel, polished, mesh 240. 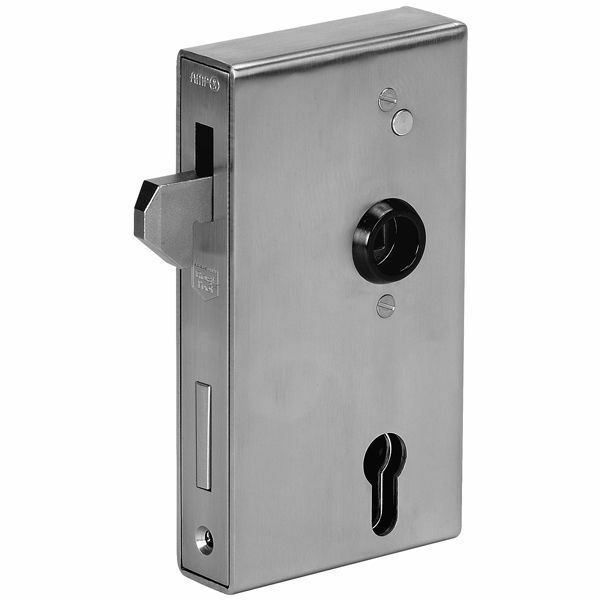 With zinc-plated lock no. 142SNIG-**, with stainless steel fore-end, polished. Prepared for profile cylinder (PZ) or bit key adapter set. With night latch function.